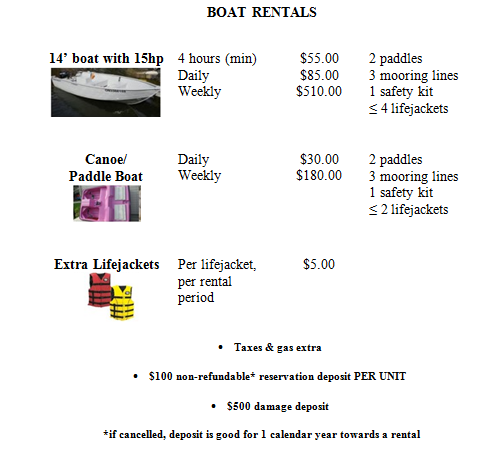 Boat & Canoe Rentals | Welcome to Little Gull Marina! 14 foot Ultracraft boats powered by 15 HP Suzuki Outboards will ensure a trouble free experience while enjoying the Kawartha Highlands. If you like a nice quiet way to explore all the nooks and crannies of our lakes, we have 14′ fiberglass canoes and a paddle boat that are great for kids and adults to explore, camp and enjoy the beautiful area! Contact us to inquire about availability. If you have any other rental requirements please call us to see if we can help you arrange these requests.